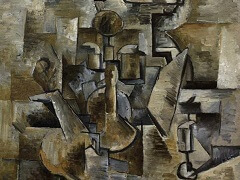 When Georges Braque abandoned a bright Fauve palette and traditional perspective in 1908, it was the inspiration of Paul Cézanne's geometrized compositions that led him to simplified faceted forms, flattened spatial planes, and muted colors. 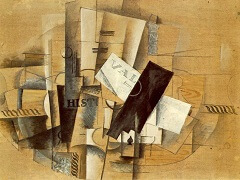 By the end of that year, Braque and Pablo Picasso, who first met in 1907, began to compare the results of their techniques and it became obvious to both artists that they had simultaneously and independently invented a revolutionary style of painting, later dubbed "Cubism" by Guillaume Apollinaire. 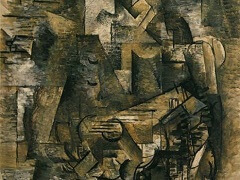 During the next few years the new style blossomed with stunning rapidity from its initial formative stage to high Analytic Cubism. The hallmarks of this advanced phase, so-called for the "breaking down" or "analysis" of form and space, are seen in an extraordinary pair of pendant works, Violin and Palette and Piano and Mandola. 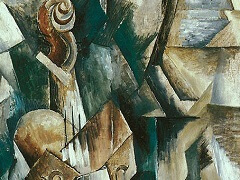 Objects are still recognizable in the paintings, but are fractured into multiple facets, as is the surrounding space with which they merge. 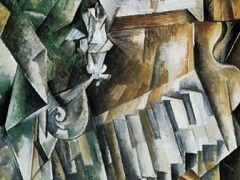 The compositions are set into motion as the eye moves from one faceted plane to the next, seeking to differentiate forms and to accommodate shifting sources of light and orientation. 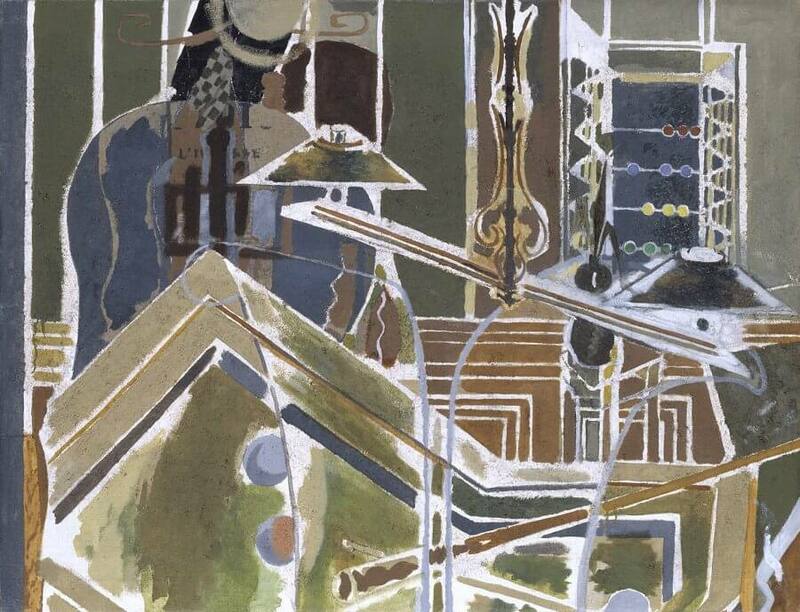 In Violin and Palette, the segmented parts of the violin, the sheets of music, and the artist's palette are vertically arranged, heightening their correspondence to the two-dimensional surface. 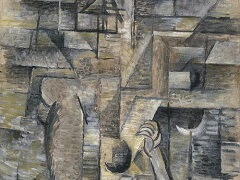 Ironically, Braque depicted the nail at the top of the canvas in an illusionistic manner, down to the very shadow it cast, thus emphasizing the contrast between traditional and Cubist modes of representation. 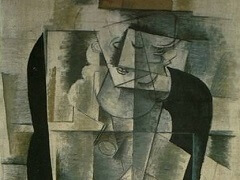 The same applies to the naturalistic candle in Piano and Mandola, which serves as a beacon of stability in an otherwise energized composition of exploding crystalline forms: the black-and-white piano keys all but disembodied; the sheets of music virtually disintegrated; the mandola essentially decomposed.